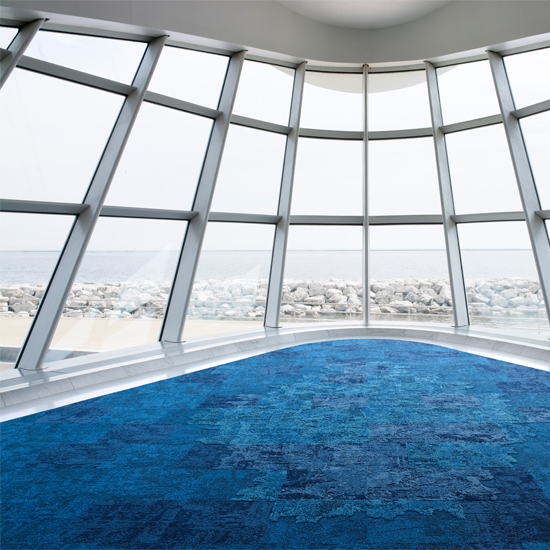 Net-works is the first step in creating a restorative loop in carpet tile production. Net-Works program is a partnership between carpet-maker Interface, Zoological Society of London (ZSL), yarn producer Aquafil and Project Seahorse. 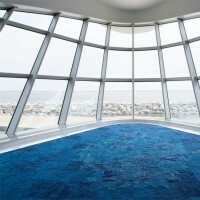 It is the first step in creating a restorative loop in carpet tile production. 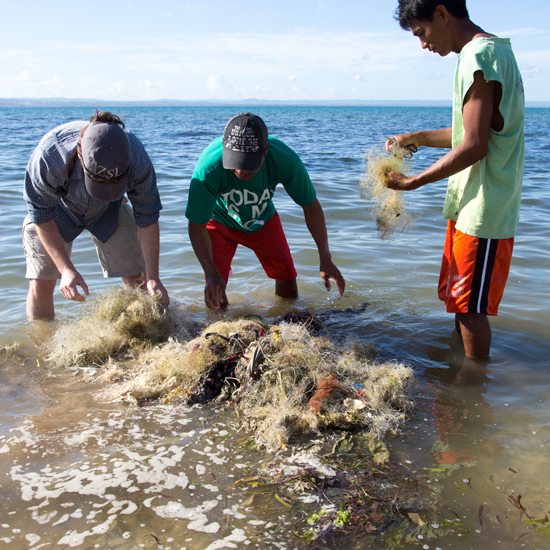 Net-Works helps cleaning up ocean litter, mainly fishing nets that are left behind in large quantities. These nets are made of polyamide 6, a material that is highly suitable to be recycled into a high quality yarn for the production of carpet tiles. In this process, Net-Works is also helping the villagers establish new financial opportunities by providing an additional income stream as well as supporting the creation of community banking. Net-works is a model for inclusive business, it's aims to provide value for all stakeholders throughout the supply chain. Danajon Bank in the Philippines is now one of the most degraded coral reefs in the world, due to extremely high fishing pressure, largely through illegal as well as destructive fishing methods. The use of destructive fishing methods and increasing pollution has degraded the habitats of fish and has dramatically dropped the catch rate to 4.77 kg per fishing operation. It is reported that there are approx a total of 17,693 fishers in the municipalities of the Bohol side of Danajon Bank. 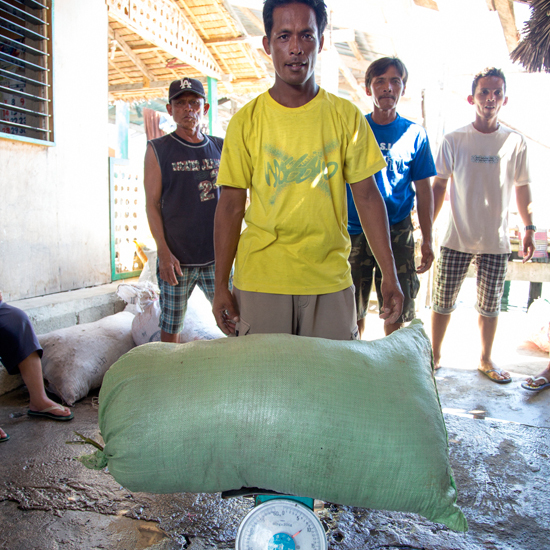 Fishing communities are among the poorest and most marginalized in the Philippines. It is reported that over 60 percent of the country's coastal inhabitants live below the poverty line of 6.00 per month for a family of 5-6 members. 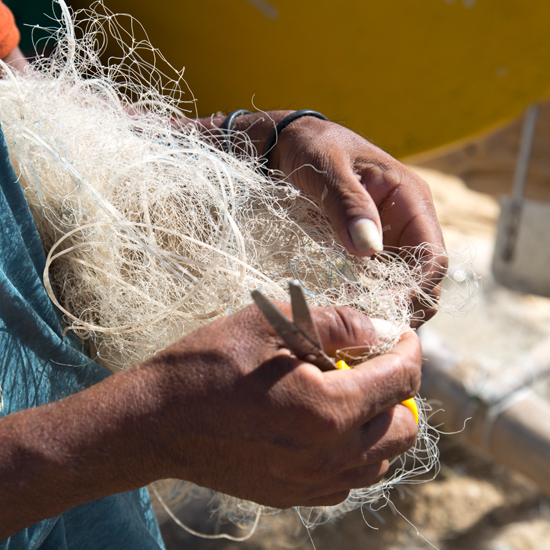 The Net-Works pilot has already helped clean up 50-60km of beach, generated income for local villagers, and contributed to marine conservation in the region. Payment for the nets provides income to the local fishermen and will also be used to develop micro finance and village savings and loan schemes in the community. These financial opportunities can help local communities to invest into new sustainable businesses such as seaweed farms. Based on the pilot, the plan is to now expand to 15 additional communities in the area and ultimately to other regions, potentially in India and West Africa. From the pilot will also come a toolkit to help other groups and organisations establish Net-Works supply hubs. 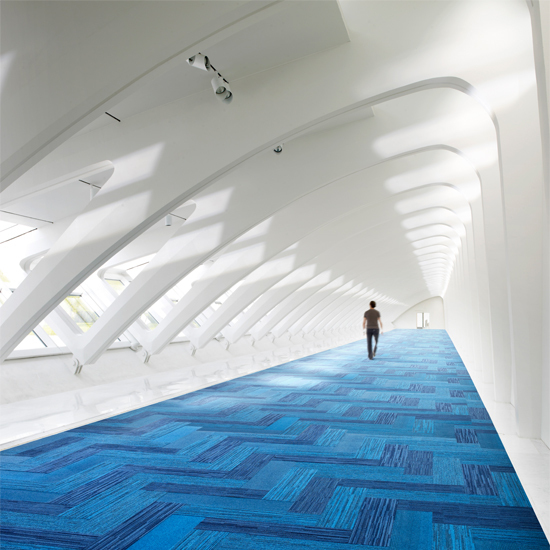 The Net Effect carpet tiles are inspired by the ocean, to carry the story to completion.